Not since Heavy Rain (PS3) has a game so masterfully captured my imagination! From immersive art design and rich characterisation to a soundtrack the equal of TRON: Legacy. Mass Effect 3 is in a class of its own. I may have missed out on Mass Effect (having only recently won an Xbox 360) and its first sequel, but Mass Effect 3 has invaded my subconscious. So much so that I've dreamt about visiting The Citadel and battling Cerberus forces alongside gamers' favourite blue-skinned alien: Liara! Much has been written about the game's controversial ending(s) and the developer's pledge to release a free patch that clarifies continuity issues. For gamers dissatisfied with the ending(s) of BioWare's Mass Effect trilogy, a free Extended Cut will be available to download from Tuesday on Xbox LIVE. 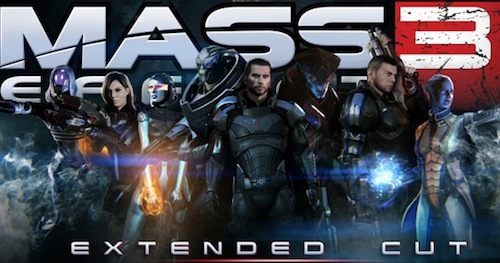 EA has announced that Mass Effect 3 will be released on Nintendo's Wii U console this upcoming holiday season. 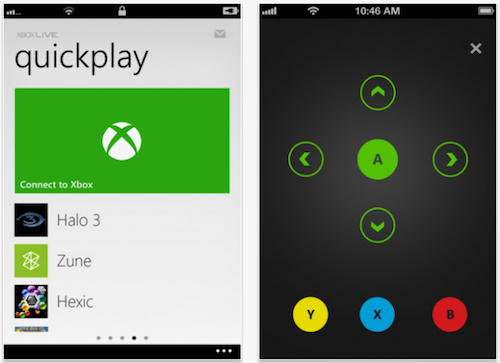 A future patch supporting Microsoft's Xbox SmartGlass app could add further replay value to the game. For the past few weeks I've been considering a Microsoft Media Remote purchase! Yesterday the Redmond-based company updated My Xbox LIVE (iTunes) with media playback controls! The app is free, but requires an Xbox LIVE Gold membership. • Use your iPhone with your Xbox to connect, control and discover content on your console. Connect your iPhone for access to a quick list of your most recent console activity. Control your content with play, pause, fast forward and rewind media controls. Find fresh entertainment to play in the new Discover section. This is the perfect excuse to dust off my iPod touch, which had been consigned to the drawer since I took delivery of a new iPad last month. The latter will become invaluable when the Xbox SmartGlass app is released, for smart phones and tablets, later this year. The story of Ridley Scott’s Alien was one I knew long before I actually saw the film [Likewise - Ed]. My Dad had the adaptation by Alan Dean Foster* and as an 10 year old I enjoyed taking it to primary school and enlightening my fellow pupils with the new swear words it contained. I also used to be able to recite the crew and the order in which they died: Kane first, then Brett, Dallas etc. The story became a collection of images that I thought I knew. When I actually saw the movie of Alien aged 16, I was astounded by how slow the opening was, how Scott rushed nothing, took his time through the images - a dark and empty spaceship, John Hurt gets up in a series of slow dissolves, emphasising the brief amnesia of waking from a long sleep. It was therefore a joy to watch Ridley repeat the sequence in Prometheus albeit this time from the point of view of David, Michael Fassbender’s wonderfully creepy and yet somehow loveable robot. That’s just one example of how Prometheus echoes Alien, there are lots of other moments that hark back to the 1979 movie, that’s half the fun of having a prequel. It is, however, where Prometheus differs that the movie gets more interesting. A scientific crew is sent to investigate LV-223 which, according to a longshot archaeological guess, may be where humanity has come from. They poke an ant hill with a big stick and guess what happens next? Well, perhaps not quite what you were expecting, and that is why I think so many reviewers felt disappointed. Prometheus wants us to consider some big SF questions: about the nature of humanity, its origins and future. I quite liked this approach and coupled with the impressive visuals of the planet and the naturally Giger-esque interior I found myself thinking more of 2001: A Space Odyssey that any of the Alien franchise. I considered this to be a good thing indeed, as this genuinely felt like the only sequel since Alien3 to try something different. The film needs to be re-edited, perhaps with more latitude to ramp-up the tension in the final third (which feels a little messy and disjointed in terms of pace). 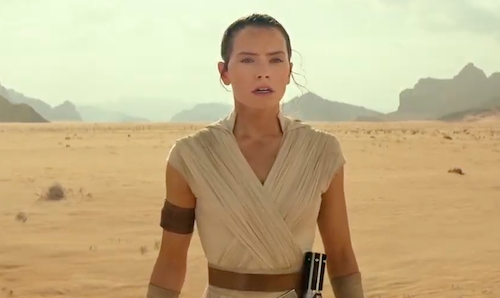 It also suffers badly from ‘leaving you unanswered questions for a sequel syndrome’: half of this is entirely intentional, the other half comes from poor plotting or perhaps there was more left on the cutting room floor as Scott delivered the 2 hour movie the studio no doubt requested [The Blu-ray disc release may include an extended edition - Ed]. Overall Prometheus is worth seeing and an enjoyable experience in 3D. As part of the Alien franchise it doesn’t feel like it’s on the periphery, it’s simply widened the scope of the Alien universe or perhaps in this case, with Scott experimenting with 3D, given it much more depth. *My Dad’s bookcase was an exercise in terrifying books: The Exorcist by William Peter Blatty, Firestarter by Stephen King, The Devil Rides Out by Dennis Wheately were all there alongside Emmanuelle which was scary for different reasons. 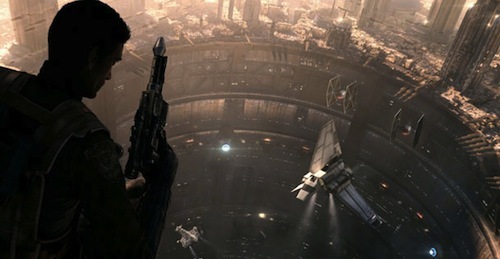 Lucasfilm today announced Star Wars 1313. 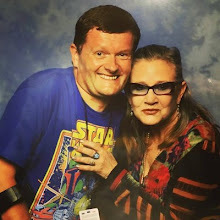 A new internally developed IP in the Star Wars universe. This time aimed at a mature audience. Described as a "third person cinematic action adventure," players take control of an unnamed bounty hunter as they explore the depths of the Coruscant underworld. Named for Level 1313, a ruthless criminal underground deep below the surface of the planet of Coruscant, the game puts players in control of a deadly bounty hunter as he uses an arsenal of exotic weaponry to hunt down his marks and uncover the truth surrounding a criminal conspiracy. Star Wars 1313 emphasizes epic set pieces and fast-paced combat with a hero who uses human skills and gadgets, rather than supernatural Force powers, to make his way through this dangerous world. Not since Dark Forces blasted its way onto my Macintosh Performa 5200 in the mid 1990s have I been so excited about a Star Wars game! You?